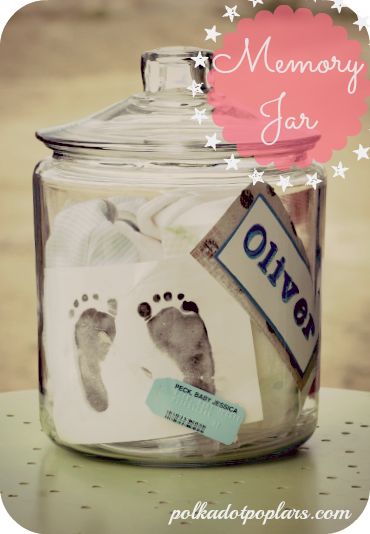 Grab all those baby mementos and make your own DIY baby memory jar like this one from Polka Dot Poplars. What a great way to display those memories without a bunch of clutter. You could use any size jar for this project. Those extra large 1/2 gallon ball mason jars would even work y'all. Very cute idea! I was just looking for a fun way to use some of my glass jars, glad I found you!